The story everyone is talking about…The book that helped trigger a change of Prime Minister… and helps explain why Labor failed to win a majority in the recent election… and what Labor needs to do about it! A story that some in the Australian Labor Party would prefer to keep buried. But to others, including former Labor giants, it’s a story that needs telling. Betrayal is a shocking, often crude, even hilarious war-story about politics, policy and petty personal ambition. More important, it’s about the train wreck of the NSW Labor Party & the policy reform framework that past Labor leaders fought hard to make it stand for, and how that culture infected Federal Labor… ultimately what cost Labor majority government in the recent federal election. 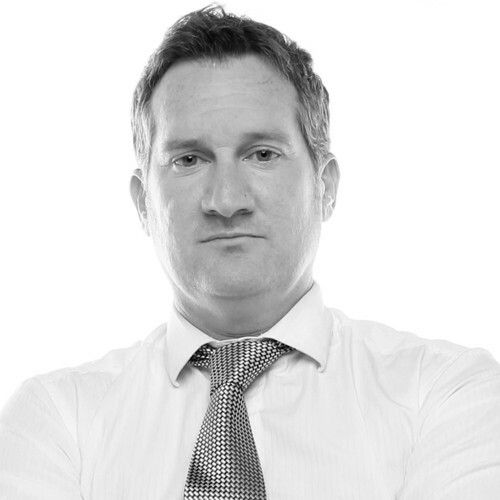 Award-winning journalist Simon Benson is chief national political reporter for Sydney’s The Daily Telegraph, where he has worked since 1994. He is the author of Betrayal. 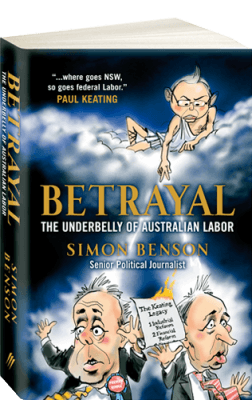 During the events that led to the collapse of NSW’s Iemma government, one of the State’s most turbulent political periods, Simon was The Daily Telegraph’s NSW political editor, and also president of the NSW Parliamentary Press Gallery. A former environment editor, Simon won the Australian Eureka Prize in 2001 for environmental journalism. He grew up in Melbourne and studied philosophy before completing a postgraduate degree in journalism. Simon is married to SBS journalist Peta-Jane Madam and lives in Sydney’s inner city suburb of Woolloomooloo.